Morning after breakfast take full day sight seeing tour of New & Old Delhi including Qutab Minar, India Gate, Humayun Tomb and the Grand President's House, Red fort, Jama Mashjid, Mahatama Gandhi Memorial. Also visit Laxmi Narayan Temple popularly known as Birla Temple. Later drive back to Hotel after fresh up evening enjoy complimentary dinner at Indian Family Restaurant and after dinner also enjoys Light & Sound show at Red Fort. Overnight stay in Delhi. Morning after breakfast leave by surface for Agra enroute visit Sikandra. Check in to hotel later visit the magnificient Taj Mahal - one of the seven wonders of the world surely the most extravagant expression of love ever created. 20,000 men laboured for over 17 years to build this memorial to Shah Jahan's beloved wife. Also visit the Agra fort - the rusty and majestic red-sandstone fort of Agra stands on the banks of the river Yamuna and the construction was started by Emperor Akbar in 1566. At the Diwan-I-Am (hall of public audience), a colonnaded hall of red-sandstone with a throne alcove of inlaid marble at the back, the Emperor heard public petitions. At the Diwan-I-Khas (hall of private audience) where marble pavilions with floral inlays lend an ethereal ambience, the Emperor sat on his gem-studded Peacock Throne and met foreign ambassadors and rulers of friendly kingdoms. Evening free to explore the Agra's rich heritage of handicrafts in its markets. Night stay in Agra. Morning after breakfast leave for Jaipur enroute visit Fatehpur Sikri- the deserted, red sandstone city that was built by Emperor Akbar as his capital and palace in the 16th century. Also visit the Bulund Darwaza the largest gateway in the world. Thereafter continue drive to Jaipur. Arrive Jaipur and transfer to Hotel. Evening at leisure. Night stay in Jaipur. Morning tour of the impressive Amber Fort situated on a ridge just outside Jaipur City. At the foot of the hill you will mount your caparisoned elephant for the slow but steady climb up to the main gate, making your entrance in the time honored fashion. The Fort, completed in the early 18th century, took over 100 years to build and now, although deserted, offers a fascinating insight into the lifestyle of the Moghul ruling families. Afternoon tour of the City - "The Pink City" is spectacularly set within surrounding rugged hills, dotted with ancient ruined fortresses. Your tour will include the imposing City Palace, still home to the Maharaja although several of the rooms are now open to the public. Many antiques and artifacts belonging to the ruling family are housed here, including a collection of weaponry. You will also visit the Hawa Mahal "Palace of the Winds", and the open-air Jantar Mantar Observatory to see the vast astronomical, instruments .Also visit Albert hall, Enjoy a stroll through the colorful bazaar before returning to your hotel. Night stay in Jaipur. Morning after breakfast drive back to Delhi. Arrival Delhi and transfer to Delhi Domestic Airport to catch the flight for Goa. 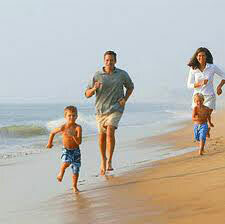 Assistance on Arrival Goa and transfer to Hotel. Overnight at Goa. 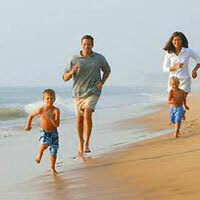 Day at leisure full day enjoy in Goa Beach and overnight stay at hotel. Morning at leisure, later in the afternoon transfer to airport to catch the flight for Mumbai, upon arrival at Mumbai Airport you will meet by our representative to transfer to hotel. Evening at leisure and overnight stay at Hotel. Post breakfast we check out from the hotel and will take you full day sightseeing tour of Mumbai starting with the Gateway of India, the entrance to the port of Mumbai. It was built to commemorate the visit of King George V in 1911. Historically the Gateway holds greater significance as the last of the British troops, which left independent India by sea, marched through its portals. It is followed by the Elephanta Caves boat cruise from Gateway of India. The caves are at the top of a gentle stairway, which begins almost immediately where the ferry wharf hits dry land. Other attractions would be the Prince Wales Museum & Marine Drive which runs along the shore of the Arabian Sea from Nariman Point past Chowpatty Beach to the foot of Malabar Hill. Later after finishing our sightseeing tour of Mumbai we drive to International Airport to catch the flight for onward destination.